PICK-UP WILL BE TUESDAY MAY 22ND FROM 10AM UNTIL 4PM. CLICK HERE TO GO TO THE CATALOG! LOTS START CLOSING EVERY 20 SECONDS STARTING SUNDAY MAY 20TH AT 5PM! 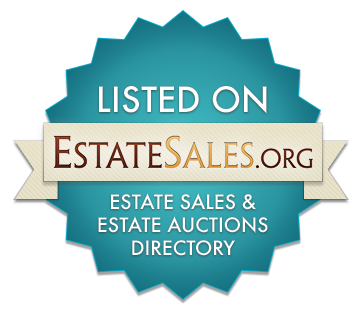 INCLUDED IN THIS SALE IS A WIDE VARIETY OF ITEMS INCLUDING ANTIQUES, KITCHENWARE, POTTERY, DISHES, VINTAGE DOLLS, RAILROAD COLLECTIBLES, SHAVING MUGS AND RAZORS, COLLECTIBLE ART GLASS, DEPRESSION GLASS, HOLIDAY DECOR AND YARD INFLATABLES, AMANA WASHER & DRYER, SPORTS MEMORABILIA, FURNITURE, TOOLS, COOKIE JARS, AND MORE! 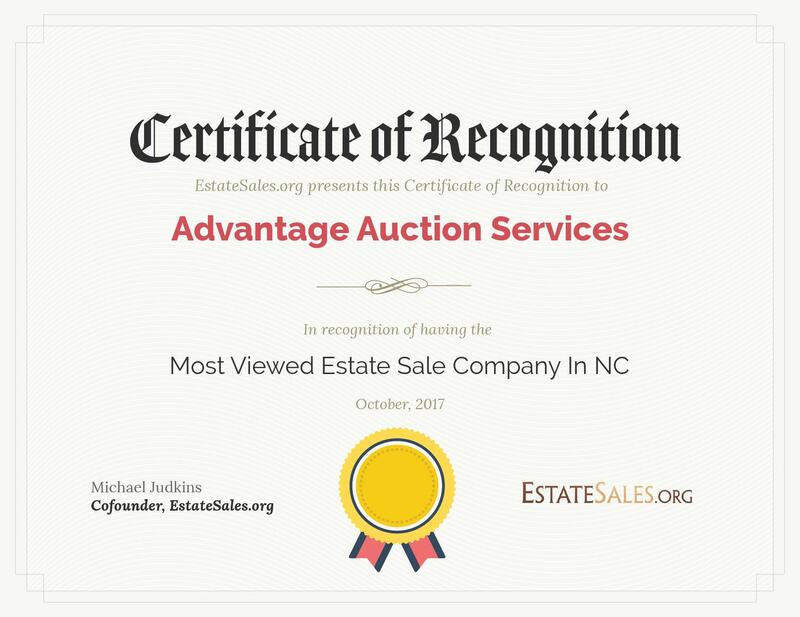 ​​IF YOU HAVE ANY QUESTIONS ABOUT ANY ITEMS BEING SOLD, PLEASE CONTACT THE AUCTION COMPANY BY EMAIL AT JLYNN@ADVANTAGEAUCTIONSERVICES.COM OR SEND A TEXT TO 828-674-7307 AND WE WILL TRY TO ANSWER YOUR QUESTIONS IN A TIMELY MANNER.